It’s no secret – the annual Parade of Homes is the single largest and most important showcase of new homes during the year. The Parade of Homes gives the talented craftspeople of our community the opportunity to create masterpieces in new home design and construction. Subcontractors, suppliers and service companies turn out their best efforts as well in this showcase of housing excellence. Homes ranging from affordable starters to million-dollar luxury estates are exhibited in the annual Parade, each featuring the latest in building technology and the hottest trends in interior design. In 2019 the BIA will launch it’s first ever, Parade of Homes App which will be available for all Apple and Android devices. This will offer our visitors an easy way to preview the homes, find maps to the homes, and so much more! The BIA, in cooperation with Parade Sponsors such as public utility companies, launches an impressive regional marketing campaign to promote the event. And it works — more than 10,000 consumers attend the nine-day event each year. But the Parade of Homes is more than just a new home showcase. It benefits the community as well, by providing scholarships. A portion of the proceeds derived from various fund-raising activities associated with the Parade go to help deserving area students further their education in industry-related fields. Everyone is a winner with the BIA’s Parade of Homes. For more information, call 850-863-5107. Each year in the Spring, the BIA holds it’s annual Home Show. This event has over 100 exhibits to view as well as informational seminars to attend that are free with your ticket into the show. 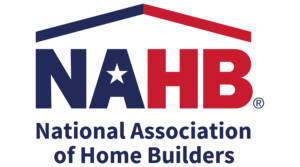 The Home Show features indoor exhibit booths filled with information on products and services for those who plan to build new homes or wish to remodel or even just “spruce up” their current homes. Each year, the BIA has its Nail Drivers’ Charity Golf Tournament. This tournament is played at a different area course and a portion of the net proceeds go towards supporting our William R. McClarrie Scholarship Fund. This great event funds our Mike Josey Memorial Sporting Clay Scholarship Fund. This is a fun event held at the Shoal River Sporting Clays and Shooting Center in Crestview and is open to the public. Each year, the BIA gives scholarships in memory of 1995 Association President William “Mac” McClarrie. Those $1,000 grants are given to college and college-bound students to help offset the costs of education at any chosen institution. Priority is given to students taking courses associated with the construction industry. Priority also is given to families and employees of BIA member companies. Interested students may get scholarship application forms from guidance counselors at local high schools or by calling the BIA office at (850) 863-5107.